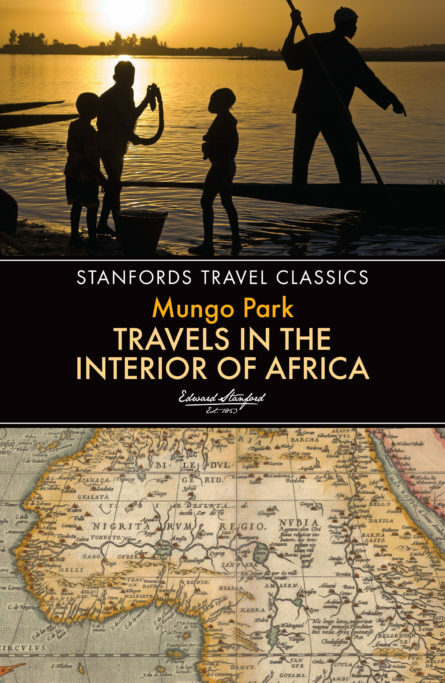 Mungo Park set off from his home in the Scottish borders in May 1795 at the age of 23 to discover the course of the River Niger in west Africa. When he reappeared in England more than two and a half years later, he had been presumed dead, and the tale of his perilous journey published in 1799 was greeted with great acclaim. Travels in the Interior of Africa provided Europeans with one of the first detailed descriptions of the geography and peoples of the African continent. The story of his remarkable journey is told with extraordinary modesty and clarity, and it remains as vivid and readable today as when he first wrote it. Park went back to West Africa on a second journey in 1805, but he failed to return. In his last letter he declared his intent “to discover the termination of the Niger or perish in the attempt”. He drowned in the Niger whilst trying to escape an attack by natives. Stanfords Travel Classics feature some of the finest historical travel writing in the English language, with authors hailing from both sides of the Atlantic. Every title has been reset in a contemporary typeface to create a series that every lover of fine travel literature will want to collect and keep.